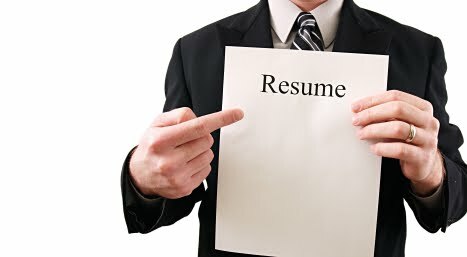 The Amputated Resume: Is Yours Missing The Tie-In to a Promotion? I’ve seen an alarming trend among self-written resumes lately, where job hunters are positioning themselves for promotion, but have failed to include any information that substantiates their placement at this level. If you’ve decided that it’s time for the next step up in your career, you’ll need to pack some punch by leading with a resume title that clearly shows your intent. But if you forgot to include supporting detail—or it’s too low-key to resonate with employers—then you just wrote an amputated resume, which is missing the critical tie-in for your desired change. In other words, you need to Show.Your.Readiness. As an example, I’ve worked with candidates who are ready to take on the role of IT Director or CIO, and have a great career progression: previous systems analyst work, project management skills, and infrastructure-building activities. However, their resumes show experience that is related to lower-level jobs (such as Systems Architect, Project Leader, or even IT Manager), with no mention of directorship skills such as executive team collaboration, board-level relationships, or infrastructure decision-making. The result? The candidate keeps wondering why the resume isn’t clicking with hiring authorities—who still see a technician coming through on paper. 1) Include specific competencies tied directly to your goal. Elevate employers’ view of your skills with a list of keywords that closely match your desired title. Not sure what these competencies look like? Use indeed.com or jobing.com to find a good cross-section of job descriptions, then pull the requirements shown for each job into a keyword list. 2) Take your career experience out of micro view. So, you’ve met deadlines and made your boss look good? Take it a step further, looking at the projects you’ve worked on and how they impact the company, not just your department or team. Now, you’ll want to flesh out this impact in more detail, including dollar or percentage figures on the overall benefit of these projects and adding these metrics to your resume. 3) Remove skills that pull you down. While you’re boosting your image on paper, don’t forget to take off skills that only a lower-level candidate would display. Examples are basic computer experience in applications such as Microsoft Word or Outlook, or obvious competencies like technical documentation. Most employers will assume that you possess these skills—given that your target is at a higher level—so use your resume real estate wisely! Remember that your resume, like any marketing piece, should be shaped for a specific audience with a precise message, and you’ll be able to fill in the missing links to your desired promotion. Very well said. People need to know, “how to show off?” They sometimes represent themselves in low light. They need some professional help to achieve the perfect professional image. Hi,thanks for sharing with us such a useful information.